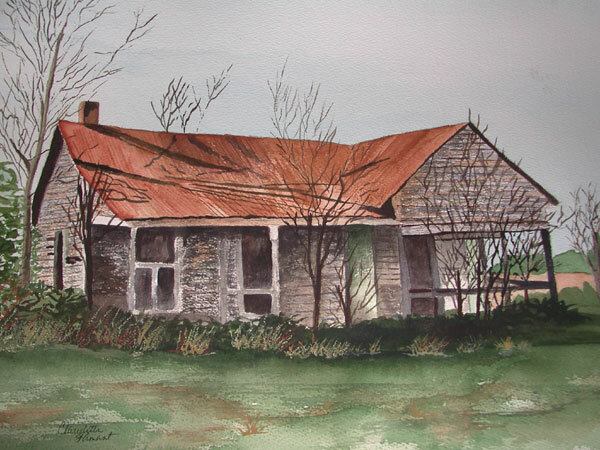 Claudette sent this painting she made of the old home (Gamm's home) where Edward & Neda lived and where June and Bob were born. It is on Highway 339 and it is where Poleet used to live. She took some photographs of it in 2001 and her daddy told her that the house is where he was born. She painted the painting for him before he died. Jimmy got some cypress off of the house to make the picture frame. She has not framed it yet. She thought it might be fun to show all the young ones where Edward J. Sr. and Neda once lived. Gamm was Lucia's Mother and raised Edward J. LeBlanc. He was 3 years old, Uncle Roy was 2, and Aunt Rita was 1 year old when both Lucia and Homer LeBlanc died. Aunt Rita and Uncle Roy were raised by another relative.